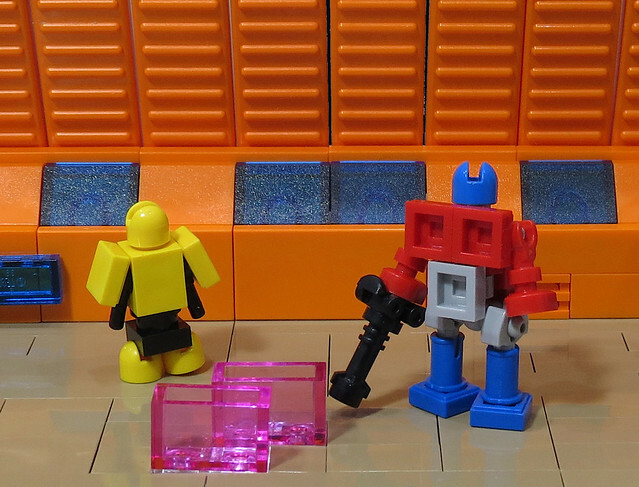 There are mixed reviews and opinions about the latest Transformers movie, but there certainly can be no mixed reviews of this tiny Optimus Prime and Bumblebee! Consistent of so few pieces, these little guys will make any old Transformers fan squeal. There isn't much I can say, simply because the image you see before you speaks to all Transformers fans in volumes. One thing that I do have to point out, which is possibly one of the best uses for brick separators I have ever seen. . . Wonderful job, Grantmasters!